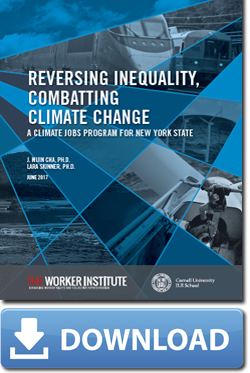 The Labor Leading on Climate Initiative advances knowledge, policies, and practices to enhance the role of labor and working people in addressing the environmental and climate crises. The initiative's efforts focus on building a truly sustainable society and economy. Video briefing on Reversing Inequality, Combatting Climate Change by Lara Skinner & J. Mijin Cha.